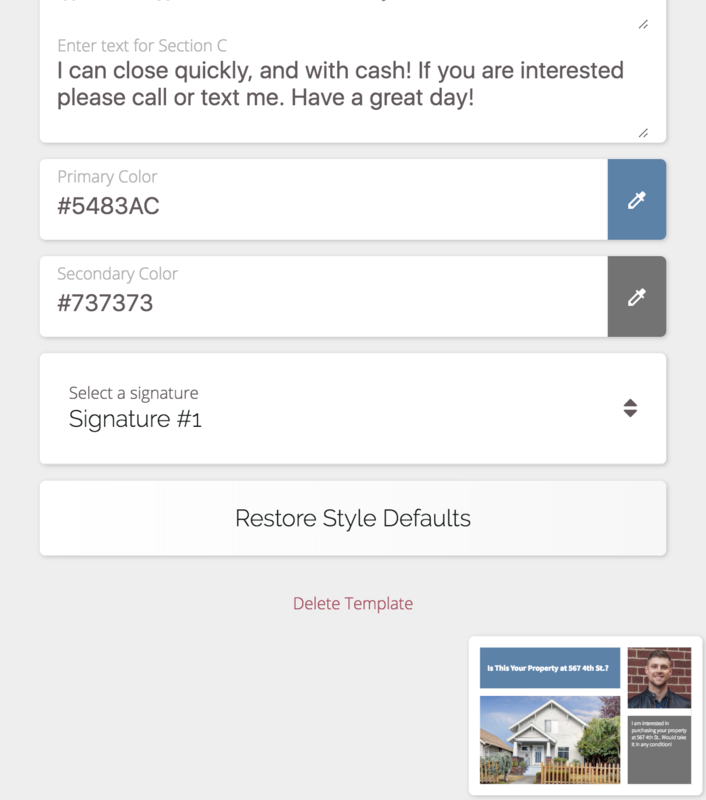 Customizing the color of your mail is one of the coolest "extra" features in DealMachine. Step 2. Edit an existing template or create a new one. Step 3. Adjust the colors. Step 4. Click the postcard in the bottom right to Preview.